Angelica essential oil supports healthy digestive system*. Traditional medicine practitioners used angelica as a stimulant, digestive tonic, and expectorant. It also has qualities that help to soothe muscles after exercise. Called the Oil of Angels to bring spiritual awareness and feelings of peace. My favorite oil blends that contain Angelica are Awaken and Surrender. Both of these oils help to increase awareness and release to the way of the spirit or the angels! As I receive new tips and testimonials for Angelica Essential Oil they will be added to the page, so check back frequently! Want to Purchase Therapeutic Angelica Oil? Go to the Oil Shop! Buy Angelica Oil Here! What is the Genus Species? Angelica arcangelica. Sometimes referred to as "Female Ginseng"
What is the Origin of the Plant Name? Angelica comes from a Greek word "angelos" meaning "messenger". Why is this Information Important? Its not, it's just a fun fact! What Part of the Plant is Used? Root and seed. Did you know that the Angelica is known as Holy Spirit Root or Oil of Angels? And it bloomed around the feast day of the Archangel Michael, therefore was given this name. What are the Plant Properties? Calming, relaxing and tonic. 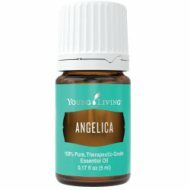 What are the Documented Uses and Benefits of Angelica Essential Oil? Supports healthy digestion system. Emotional release. What is the Aromatic Effect on the Mind? Its earthy and herbaceous aroma is very calming and relaxing. What is the Spiritual and Emotional Influence? Angelica helps to open the heart chakra and our awareness and connect with our divinity. 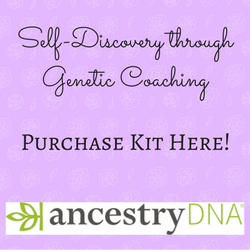 It helps us assimilate higher energies and frequencies which is required for us to move into a higher consciousness. It encourages our spirit to be free and one with the spirit world. Angelica releases emotions of disharmony, pessimistic, and survival that come from keeping a closed heart and emotions and memories. It instills calmness, freedom and the totality of soul. Can this Oil be used for Animals? Yes. Have your animals smell it directly from the bottle or place a drop or two in your palm, then smell. Or place a drop in your palm and pet head to toe. Note about Animal Use: Certain oils can be very toxic to cats. Citrus and pine oils in particular when using non therapeutic grade oils. Please consult your vet if you are not sure about applying any essential oil to your pet. What are the Safety Precautions? First, only use therapeutic grade essential oils for best results! Angelica essential oil is Generally Regarded as Safe (GRAS) for internal consumption by the FDA. Although it may be used as a dietary supplement, it is advised not to use it in this manner for children under 6 years of age. This oil should be avoided for diabetics; and use with caution if pregnant. Photosensitive stay out of direct sunlight for 12 hours. If you are pregnant, nursing, taking medication, or have a medical condition, consult a healthcare professional prior to use. Did you know that Angelica has been credited to have been used during the 1600s? Yes Paracelsus documented that the stems were chewed back in 1660! Did you know that Angelica was used to cleanse and purify the air? Yes, the seeds and roots were burned to cleanse spiritually. Place on the shoulders to protect against negative energy. Place on the shoulder blades where wings would attach to release stress and negative emotions held there.